I love seeing this picture of me and Diana, taken by R a few months ago. 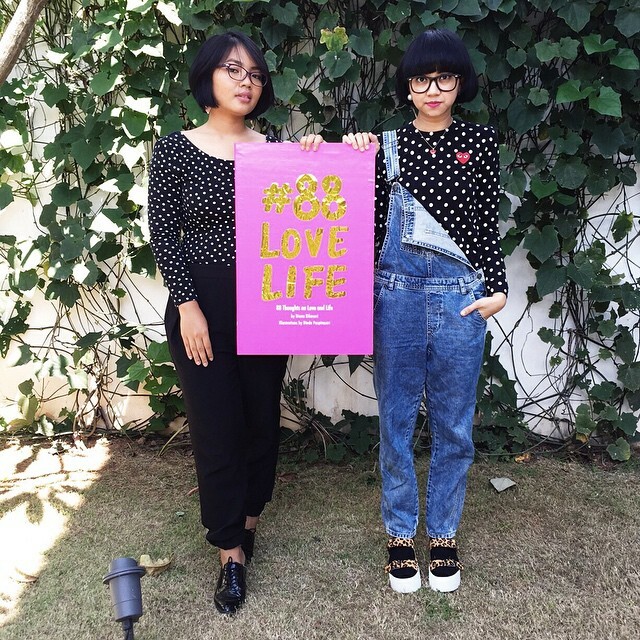 We both coincidentally wore black polka dot (long sleeve) shirt, trousers, short hair and glasses. I don't know what happen but it happened more than 3 times, mitchy matchy outfits whenever we go out together. Hahahaha. Anyway, gotta sleep now. Big day tomorrow, nightey night!